My name is Biyam Peter and I am Saha’s Director of Ghana Programming. I have worked for Saha Global since 2008, when Saha was piloting their first water treatment business in Tamale. I am currently working in Salaga, Saha’s sub-office located 4 hours southwest of Tamale, monitoring all of the villages in the surrounding area. Saha first implemented in this area in 2013 and since then I have managed the monitoring and the mapping of potential partner communities in the area, which makes me feel proud. I work in Salaga four days every week and get to Tamale for our normal staff meeting on Fridays, and get back to Salaga on Sunday to start a new week. When in Salaga I monitor three villages a day. I check up on the businesses and talk to the ladies running the businesses. I talk to them to see how things are running, find out what their problems are and supply them with more aqua tabs if they need to buy more. I also visit six households in each village to see how people are doing with water in their households. The guesthouse in Salaga where all of our Winter water field reps will stay! Aside from that, I also organize and prepare for the Global Leadership Programs. I have been counting down the days and cannot wait for December to get here! I have made the guesthouse arrangements for the Field Reps. I have checked to make sure we have the right amount of beds and that the water and electricity is running. I have met with the cooks at the guesthouse to be sure they are prepared. The cooks in Salaga are from my favorite restaurant in town called 4As. This is how the menu will go: fried rice, plain rice and chicken, jollof rice, fufu, plaintains. My favorite is the fufu. I have met with the cleaning ladies of the guesthouse to be sure they ready. I am also in charge of making sure all the translators and taxis are ready for the Fields Reps. The villages in Salaga are so awesome and they always make me feel at home. I love the fufu there and the cow milk the Fulani give me. The most important thing about our expansion into Salaga is that I always feel like Saha needs to be there. People in this area are really lacking access to clean drinking water. I can see how much Saha is impacting these communities with their businesses and I have a list of potential partner communities for our Winter Field Reps to work in. I can’t wait for December to get here! See you soon Winter Field Reps! I can’t wait to meet you all! My name is Caroline Collins. I am a twenty two year old senior about to graduate from Connecticut College. At Conn, I study biological sciences and anthropology. I am originally from Cohasset, MA which is on the south coast of Boston. I was lucky enough to participate in two of Saha’s global leadership programs. 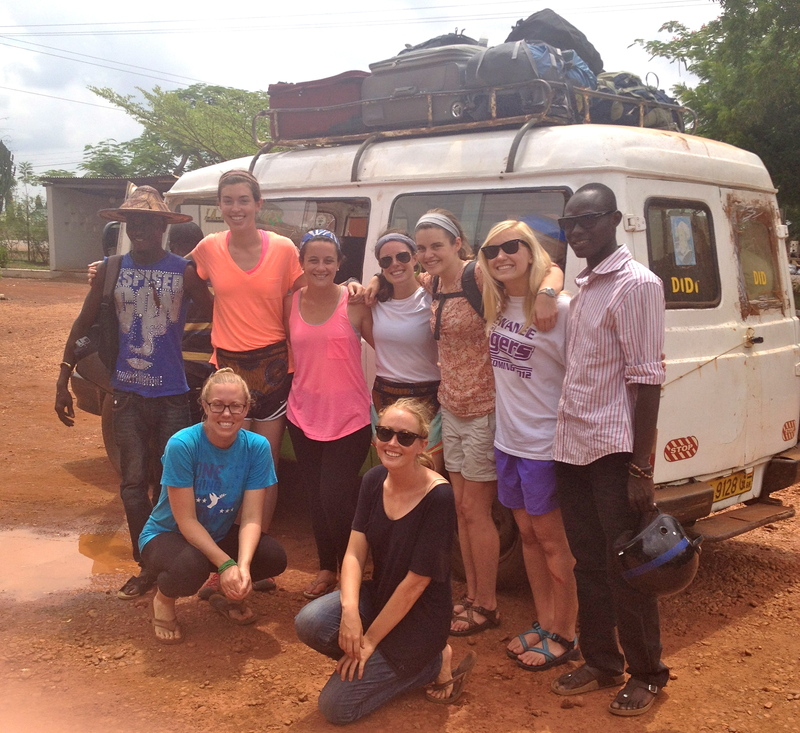 I first travelled to Ghana during my sophomore year for their winter program in 2013. I gained an incredible amount from being a Saha Global Leader and valued their program goals immensely. I was itching to return to Ghana, so when Saha announced that they had an opportunity for past leaders to return for the following summer program, I jumped at the chance! Saha was looking for Field Reps to help implement their water business model in Salaga, a new region for the organization. 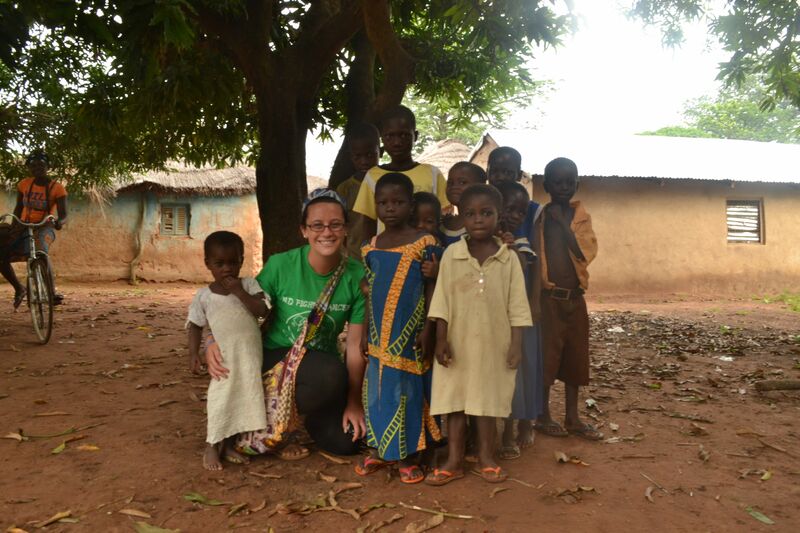 My two experiences in Ghana were truly life changing and they have shaped my academic pursuits. One of my strongest memories is from my first trip, when my teammates and Shak, our translator were educating our community’s school children about the importance of clean drinking water and the differences between clear water and clean water. 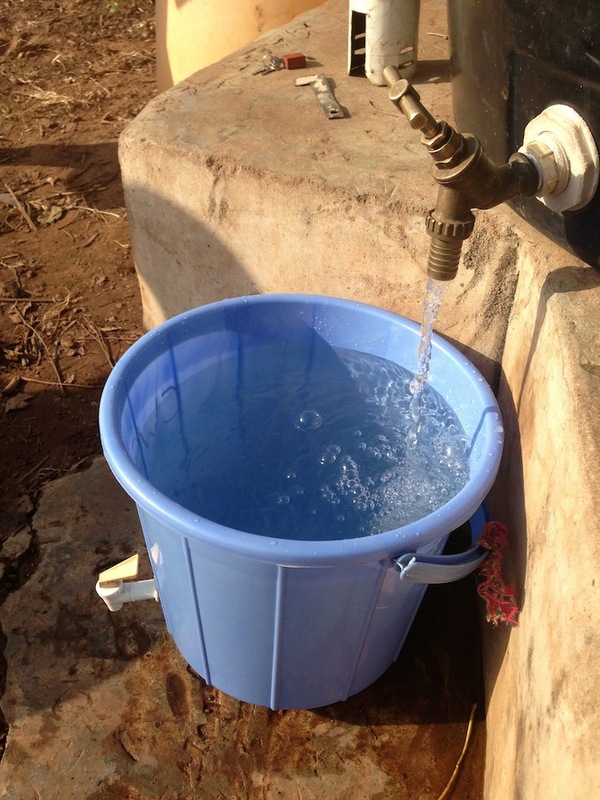 Educating children about healthy hygiene is one of Saha’s initiatives toward creating a sustainable clean drinking water model. So after we had implemented the water business, my team and I spent a day in the school teaching the children songs about clean water to help them remember healthy drinking practices. I distinctly remember a group of about thirty children singing and dancing excitedly about their water. One of the kids came up to me while we were all singing the clean water song and told me that he used to have headaches every day, but after drinking the clean water for a few days he felt so much better and was thrilled to have energy to run around play soccer with his friends. This was one of the most influential moments of my trip, as it was a direct and concrete example of the benefits that the clean water system will bring to the community. My biggest take away from being a Field Rep is the power of little changes to bring significant impact. 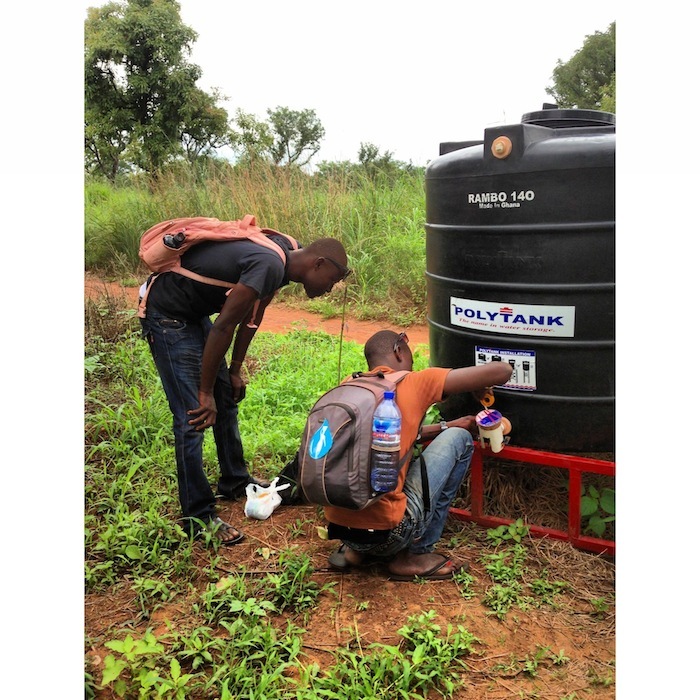 Before traveling to Ghana, the thought of bringing a water business to an entire community seemed quite daunting, however as a Field Rep, I learned that the procedure is really simple and with attention to education and prompting clean habitats my teammates and I were able to create a system that the community ran completely independently and were proud of. 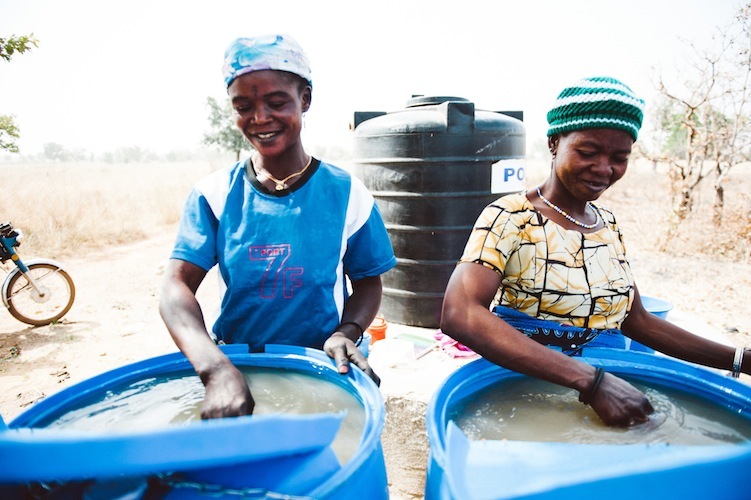 When I left Ghana after the program, the women in charge of the business were excited to develop the system and I knew that they would do a tremendous job building a sustainable source of clean drinking water for their community. 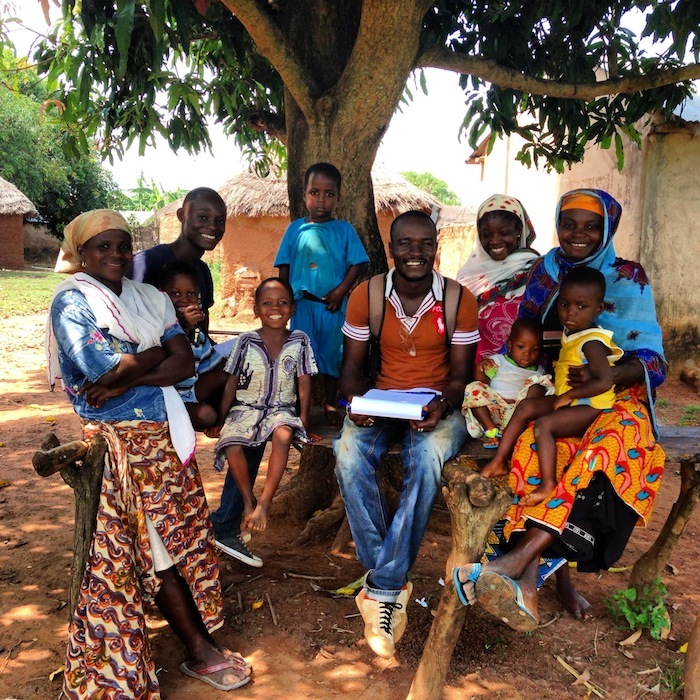 My time with Saha has encouraged me to study the connection between human health and the environment. I am particularly interested in bacteria and what environmental factors lead to the proliferation of bacterial diseases that pose a significant public health risk to developing countries. 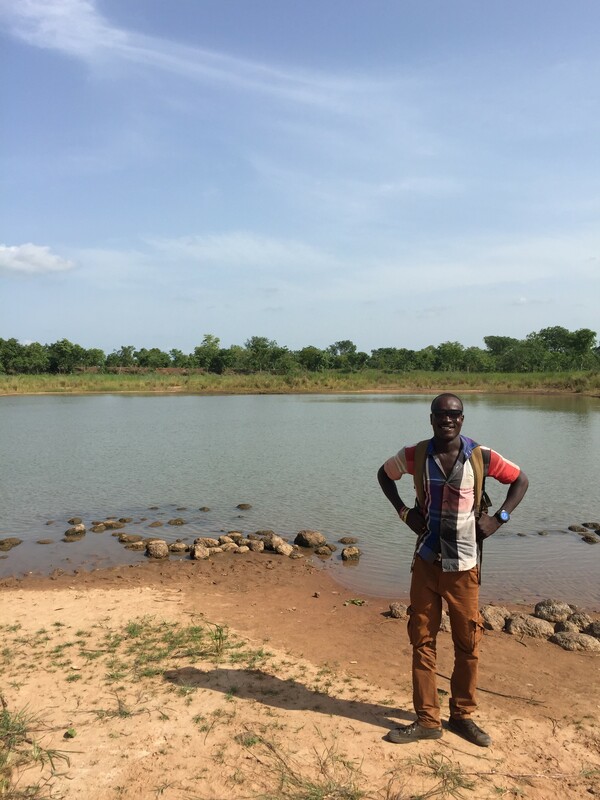 Saha gave me great experience in the field and has left my very excited to learn more about the prevention of waterborne diseases. I graduate from college in May 2015 and look forward to pursuing a doctorate degree in microbiology and environmental toxicology. Hopefully, this educational path will bring me back to countries like Ghana, where I can further study environmental health. I have enjoyed staying in contact with Field Reps from my trip and my translators as well. There is an active facebook group where the Saha team and past field reps post about exciting things going on within the Saha network. It is great to stay connected with the incredible and inspiring group of global leaders as they go out and do interesting things around the world. Want to learn more about Caroline’s experience or have any specific questions? Caroline would be happy to tell you more and can be contacted at ccollin1@conncoll.edu Also check up to see what Caroline is doing here! 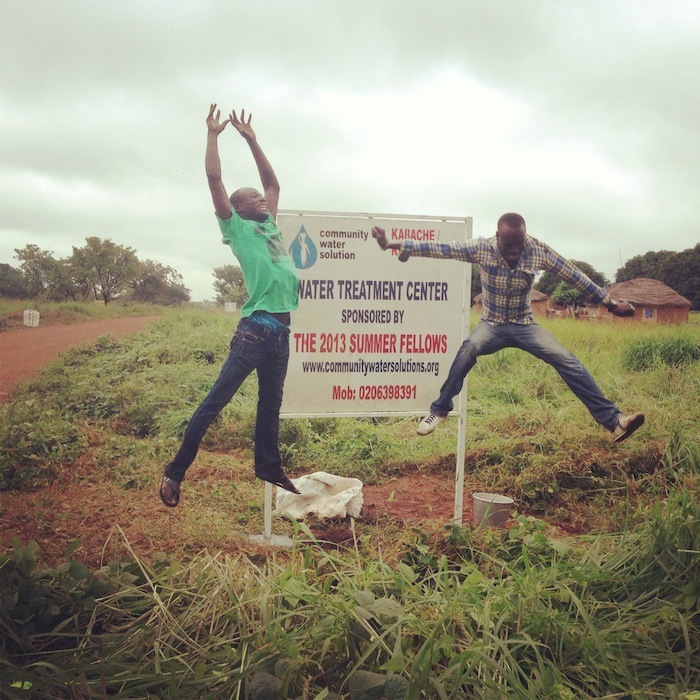 Eric and Peter having a jumping picture by the new signboard in Kabache/Kasawuripe! My name is Peter Biyam, the Project Manager of CWS. I have worked full time with CWS for the past four years now. This is my first CWS blog post. I used to work full time monitoring the CWS villages in and around Tamale, but for now my daily routine has changed, which I feel so good about. 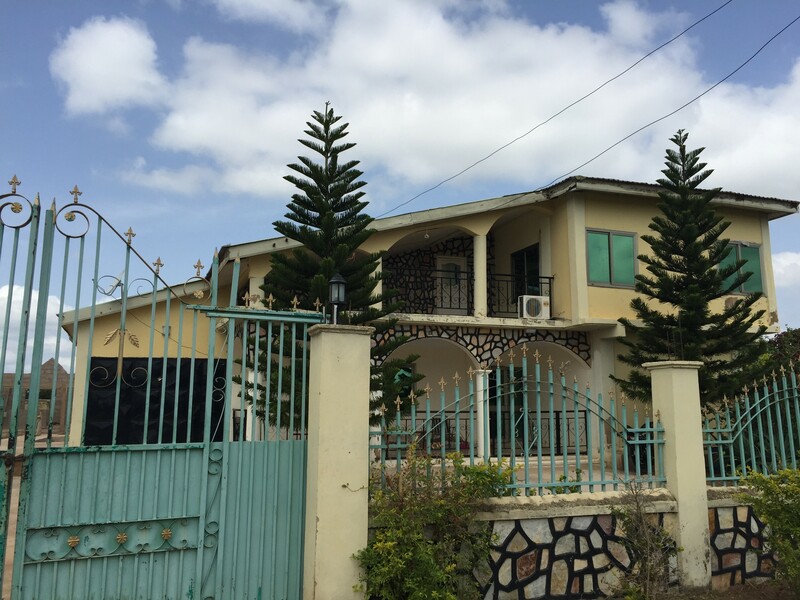 As of June 2013, CWS has a new office in Salaga. Every two weeks, I go to Salaga to monitor the villages CWS works in around there. I go to make sure all is well with our women entrepreneurs and their water businesses. Which is fun! Every time I’m in Salaga, I monitor the 3 Salaga villages: Kideng, Kabache and Tunga. I monitor with Eric and Brianan in Mr. Suli’s taxi. The Salaga villages are almost the same as the Tamale villages, the houses look the same and the people farm as many villagers do for a living. 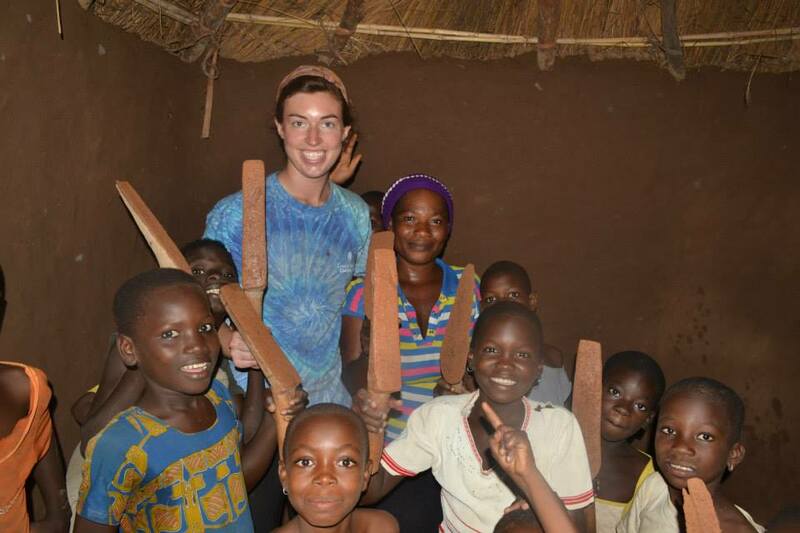 The difference between the Tamale villages and the Salaga villages are the languages spoken. People in the Tamale villages only speak Dagbanni, but the Salaga villages speak three or four languages. This is because most of the villages in Salaga are farming communities and different tribes move there to farm. Some of the languages spoken in the Salaga villages are Gonjan,Dagbanni, Checosi, Twi and Howsa. One thing I enjoy is the 3-hour bus ride from Tamale to Salaga. The road looks like it is getting better, so you don’t get too bored on the bus. Wow it always is great to me when I get to the bus station and find out that I have a nice seat. The best seats are the ones numbered 1-18, where you sit close to the window. The worst seats are the ones numbered 20-30 where you sit on a folding seat in the middle, which is very uncomfortable! The bus makes a lot of stops for people to get down, like people having to buy food, people having to pee or people leaving the bus for their stop. So the people sitting in the middle have to wake up and get down for all of these stops. I usually wait 10-30 minutes at the bus station before we leave. I take advantage and run and get some food before we depart. I love when the cool air blows through the window when the bus starts to move. The people in Salaga are awesome. There is an egg and bread seller at the bus station who has good food. People in the villages are lovely too, the kids are smart and cute. So I feel at home anytime I am in Salaga. I always love to go to the restaurants after a long day of monitoring like the Maridon Hotel and 4A’s. The food is always good. This is what’s on the menu: fried rice, plain rice and jolof rice, I always go for the fried rice. I am so excited to work in Salaga because it makes me feel like CWS is doing a very great job of bringing clean water not only to communities in Tamale but now also to communities in Salaga. I feel so good about this. I am proud of myself to be part of a team that is doing such an awesome job. I love my job! I hope that CWS will continue to reach out to all those who are in need of clean drinking water in rural villages all over the world. And I hope to be part of the team as it is growing, taking on more responsibilities as one of the leaders of CWS. Thanks. Last spring, CWS expanded our operations to the regions surrounding the city of Salaga, Ghana. 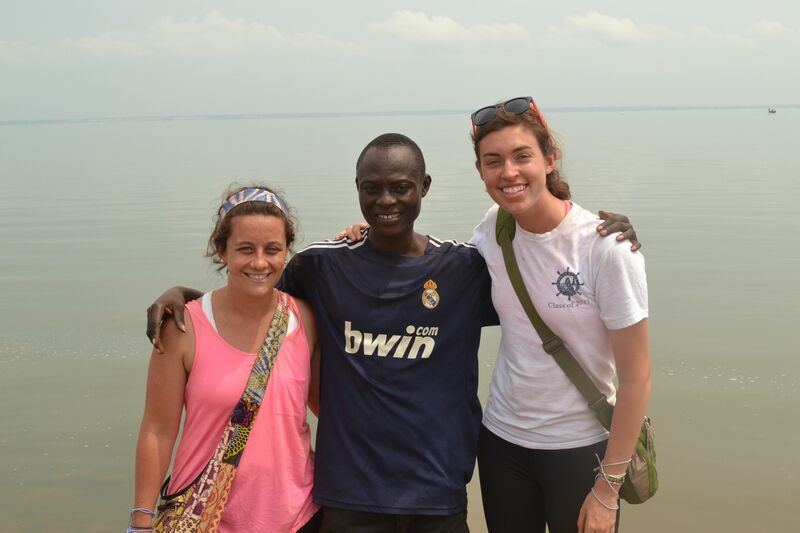 This summer, we hosted our first Fellowship Program in Salaga. Two of the Fellows who came with us to Salaga, Caroline and Brigid, had already participated in the Fellowship Program and were returning to Ghana for a second time. Today’s blog post is written by Caroline, who we asked to write about the reasons why she wanted to join the Salaga Fellowship and share experience as a two-time CWS Fellow! Returning to Ghana for the Salaga fellowship was an incredible experience. I have such distinct memories from both of my trips and it was amazing to return with the experience from my first fellowship. Having already been oriented to CWS’s approach, I was excited to use this knowledge in Salaga. I knew that I wanted to return to a country that I developed such a strong love for. My teammates and I had a great dynamic throughout my first fellowship, and Shak, our translator helped us to really get involved with Tohinayili, our community. 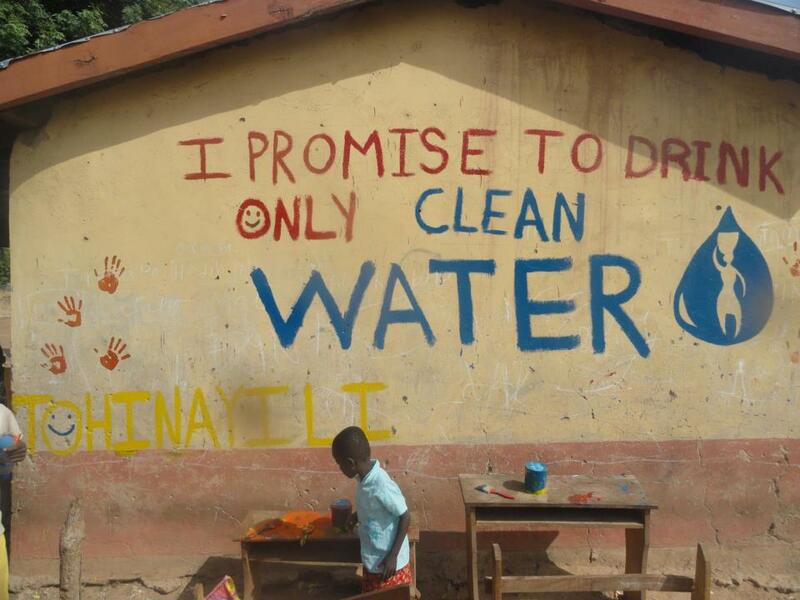 On our last day, we all painted a mural on the school that said, “we promise to only drink clean water” and some of the children helped us by putting their handprints on the school wall. Painting the mural was one of my fondest memories and cemented my love for Ghana and interest in development work. I knew that I wanted to be part of the CWS team again and help them with their expansion to Salaga. In regards to packing I felt a lot more prepared, I knew to bring plenty of the necessities, such as peanut butter and cheezits. Most of my focus went into fundraising. It was a bit daunting at first; I needed to be creative and think of different strategies. Writing an article about CWS in my local newspaper worked well. I live in a small town and many people heard about my trip and wanted to learn more about my involvement CWS. I also found that people felt involved with the fundraising when I came home and shared all my wonderful stories and photos with them. Having the experiences and pictures from the first fellowship made it easier to express to people what I was doing in Ghana and both new and old donors were excited and willing to help me reach my fundraising goal. Salaga is a small town and spending two weeks there was an interesting change from Tamale. We had two bikes at the CWS house and I loved biking into market to buy groceries and fabric. Salaga’s small size made it easier to immerse myself in the community and connect with our neighbors. I went on a run after being out in the field and it suddenly down poured so I stopped and met a nice woman to talk with and wait for the rain to end under a large tree. The small community feel of Salaga is wonderful to experience and I enjoyed having time to explore. My teammate and I implemented in Kabache-Kasawuripe, a community about an hour away from the CWS office. Our implementation process went quite well and I felt like I was able to build on my leadership skills within my team. Having already conducted a chief meeting and an opening day, I felt more confident in my abilities and this fueled a greater feeling of engagement with the community. I loved worked with Eric, our translator. He did a tremendous job helping us orchestrate all the various steps throughout the implementation process. Lamnatu, one of the women in charge of the business completely took over monitoring the water business and I enjoyed talking to her about the business and the ways we could support the system and maximize sales. Working and speaking with Lamnatu and my overall connection to Kabache-Kasawuripe is an incredibly fond memory. I thoroughly enjoyed my fellowship in Salaga and look forward to hopefully returning soon. Sounds like your cup of tea? CWS is currently accepting applications for our winter fellowship program! Applications are due October 3rd. October 7th. Click here to learn more and apply! 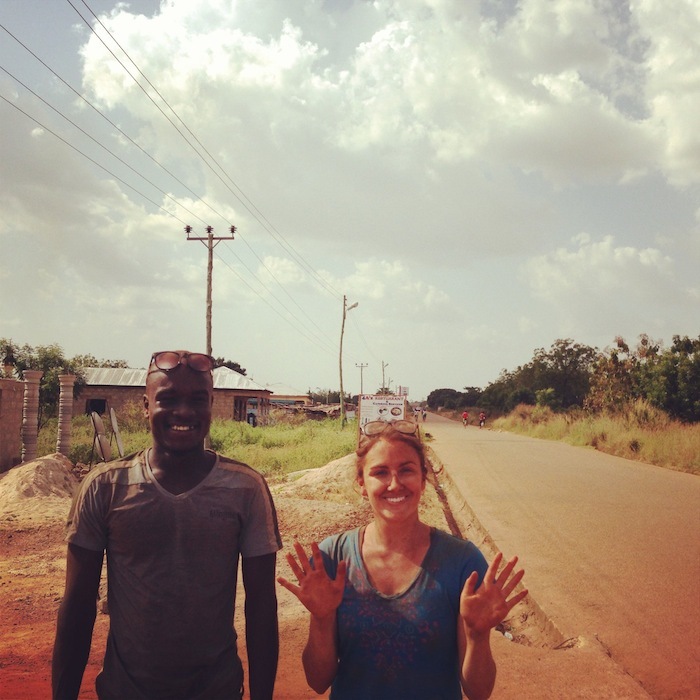 We’re so excited to be back in Ghana! Since we are returning to the fellowship program, our team consists of just the two alums and our amazing translator, Eric. After saying goodbye to the other fellows and translators, we arrived in Salaga on Tuesday with the rest of the team. Our first visit to our village, Kasawuripe, on Wednesday was a success as we met with the chief and planned to return the next day for a village meeting. We were thrilled to present the CWS model to the community and they were enthusiastic about partnering with us. Today we began constructing the treatment center and brought a movable metal polytank stand to the village so that they can move the polytank to their alternative water source in the months when their dugout dries out. The community has a great school and we especially look forward to educating all the kids on the importance of clean water and playing the CWS healthy habits game and other fun activities to encourage to drink healthy water. Tomorrow we’ll begin training the women and distributing the safe storage containers and we hope to have our opening day on Wednesday! After spending just a couple days beginning the project and playing with the kids of the village we’re so excited to be spending the next week opening the water business in Kasawuripe!